How Is Least Cost Routing Well Suited for a Profitable VoIP Business? VoIP service providers have class 4 and class 5softswitchesas the backbone of their business. The class 5 softswitch works at the retail end and lets users with IP enabled phones, calling cards or mobile devices to make use of VoIP services. Class 4 softswtich is primarily used by bulk telecom carriers for exchange to exchange connections. Both have some common features and one of them is least cost routing or intelligent call routing. This feature can make quite a difference to the profitability of a VoIP service provider and to telecom costs of their customers. In order to understand how and why least cost routing, also known as LCR, plays a vital role in the bottom line of VoIP services, one must understand how it works. A call may originate directly in a VoIP network or from a PSTN device and then it is routed over IP networks through the softswitch solution that may be class 4softswitchand/or class 5. Voice packets then reach the termination gateway by traveling over networks. It is common to choose more than one termination provider not only to assure call quality for customer but also to take care of costs. 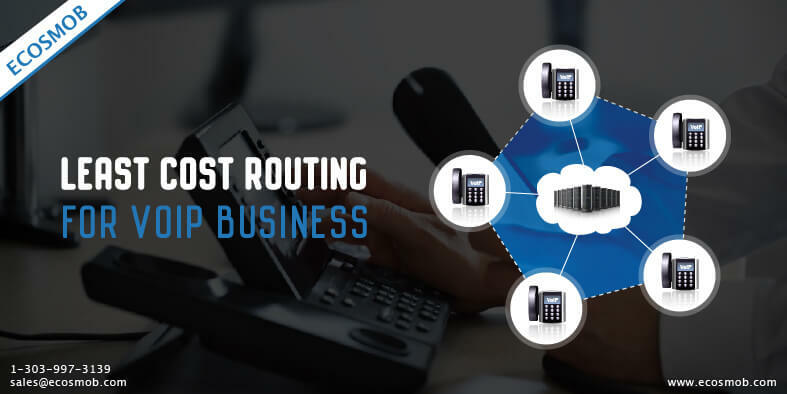 Costs can be high when they are international in nature and this is where least cost routing feature can make a difference to the revenues of VoIP service providers. The VoIP softswitchcan be configured by service providers to intelligently choose a termination gateway and the network that ensures reliable and speedy data transmission as well as the least cost option. In other words, least cost routing optimizes the direction and course of outbound traffic. The process can be carried out in a manual fashion but it is almost entirely automated, being a feature of the VoIP softswitch . How well the LCR feature of the softswitch solution is configured can make an impact on the call cost which affects the service provider as well as his client and, therefore choosing the right IT services provider for class 4 and class 5 softswitch is important. Intelligent and automatic least cost routing involves selecting a call route that has the least Point of Presence since each POP has a fee associated with it. LCR configuration also incorporates tariffs for various routes passing through international boundaries and exchanges and picks the least expensive as well as most efficient one as regards latency, call quality and dropped calls. Features of LCR part of the software include price schedule, automated table coding, analysis of volumes of traffic over various network, routing schedules, timing and other factors. A VoIP softswitch solution that incorporates a correctly configured LCR can work wonders for the service provider.